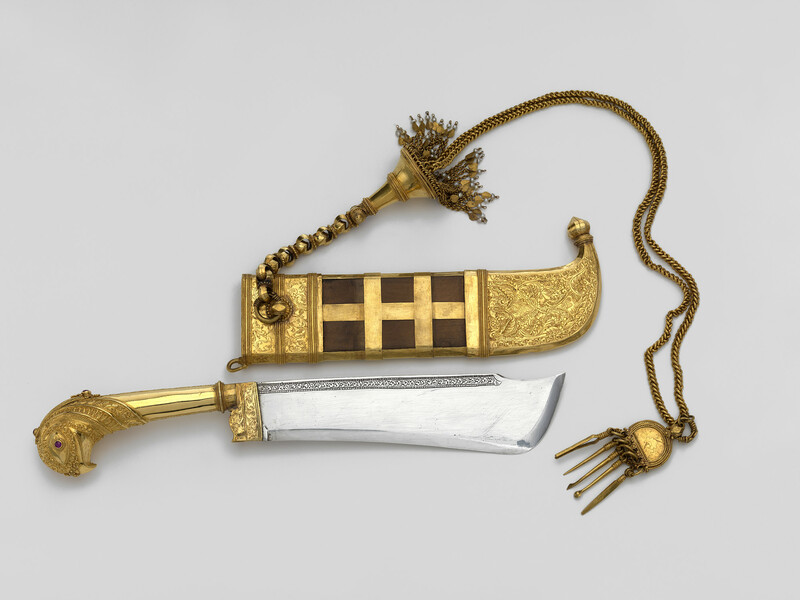 A knife or pichangatti with a blade made of silver and a hilt made of gold, cast to form a parrot's head and inlaid with rubies for eyes. The parrot head is chased with floral and granulated patterning. The scabbard is made of wood with mounts of gold chased with floral patterning. The pichangatti is a ceremonial knife worn by men in Kodagu and is designed to be useful for daily activities. A gold chain and tassel is attached to the mount which carries a set of grooming implements such as a file, tweezers and an ear scraper.